To clear and restore the main channel of the West Branch of the Wolf River. The West Branch of the Wolf River is a cold-water river, supporting diverse aquatic life and a healthy, reproducing brook trout (Salvelinus fontinalis) population. A logjam has blocked the main stream channel since the mid-1900s, creating a braided stream, reducing flow and depth, and increasing water temperature. The logjam was caused when flooding carried logs downstream from the Neopit Saw Mill and into the channel of the river. For this project, the logjam was removed from the central channel. Any remaining logs were anchored to prevent them from reblocking the water flow. 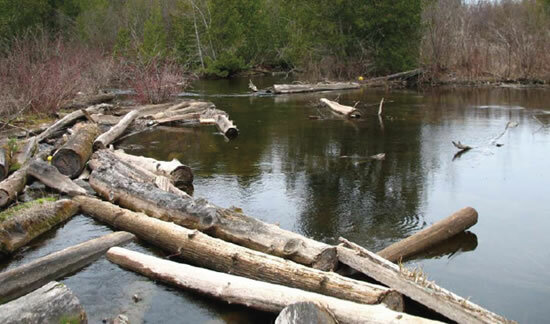 Removal of the logjam, combined with minor stream channel restoration, will help restore the river, allowing recovery of aquatic biodiversity and the native brook trout population. Restoration of the river channel to its natural condition will improve flow and water quality for the entire river system. It will also promote recovery of the native brook trout population. The entire watershed will benefit as the river returns to its natural and balanced condition. The logjam affected less than 1 acre of the river. Restoration improved approximately 707 feet of the river with indirect benefits to approximately 7 acres of surrounding habitat. 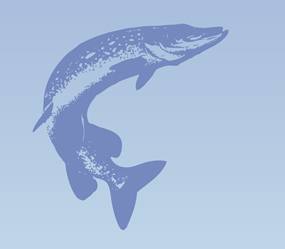 Additional restoration is planned within the river system. The logjam in the West Branch of the Wolf River was removed in Summer 2009. Work continues to anchor other logs along the floodplain to prevent them from reblocking the channel. The project received $94,276 in NRDA settlement funding and attracted additional matching funds and/or in-kind services for a total budget of $95,776. The project did not use all allocated funds, the remaining NRDA settlement funds will be used for more habitat improvement in the future within the West Branch of the Wolf River.